Warning! This is a long post and photo heavy, skip to the bottom for a quick round-up and details! 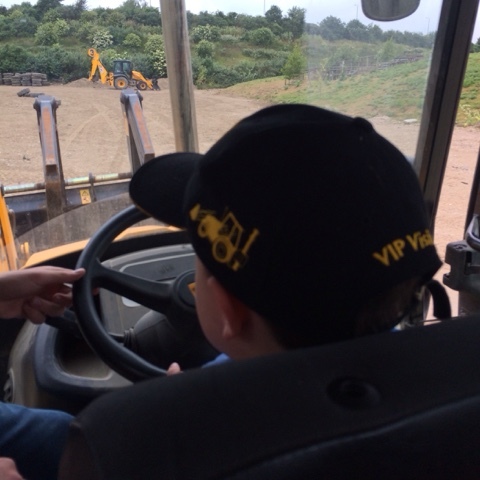 We were lucky enough to be given free entry to Diggerland in return for a review, so a couple of weeks ago we took T and our nephew Jack (J) down to Kent for a visit. 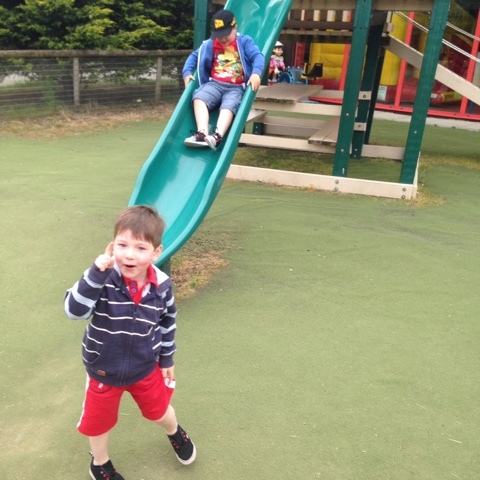 The boys started off by having a play in the small play area which was well maintained and clean and tidy. 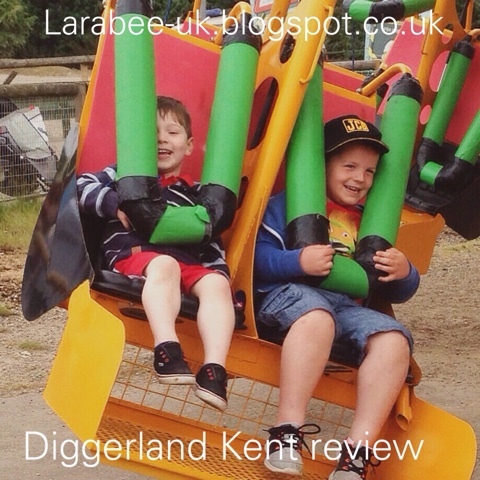 When we first walked into the park, we saw a really long line of mini diggers all picking up and knocking down items, I must admit, my heart did sink a little here as I feared that was a large proportion of the rides, I knew that neither of the boys would be able to do this themselves and would soon get bored. Luckily this was only a small area and there were loads more things to do. 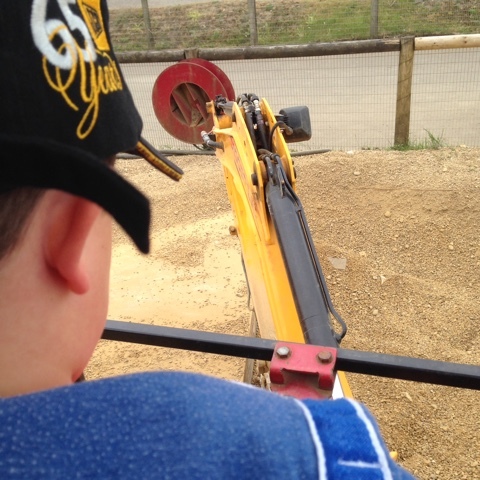 We went on the mini diggers, both boys were able to use them, the time slots were very long and they were certainly ready to move to the next thing once they'd had a play. 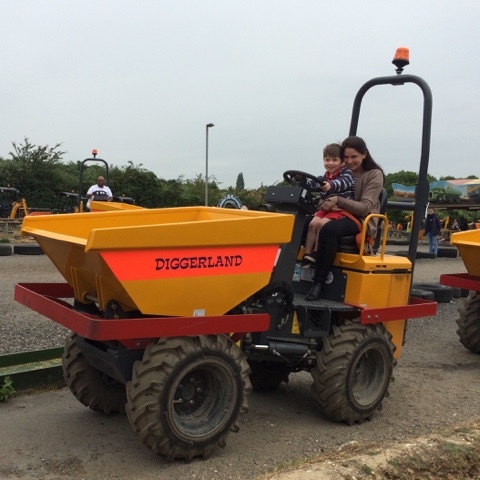 We drove little dumpers too, T loved this as he could actually steer, neither of the boys were tall enough to do this on their own, but they enjoyed coming on the vechicles with us. 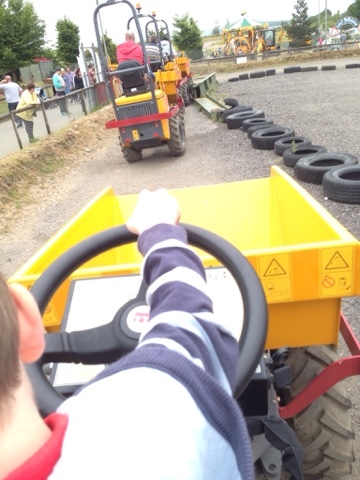 T really enjoyed driving the mini dumpers, the track was of reasonable length, giving us a reasonable time on the rides, the queues were not long which helped too, I can imagine it becoming a little frustrating in the height of the season. 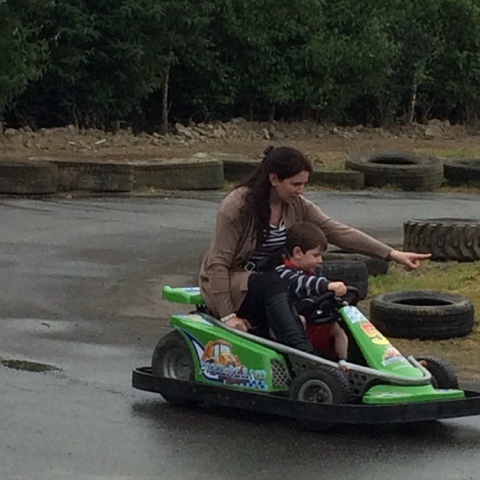 I was quite surprised that T was allowed on this but The Hubs commented that the restraints were very tight and safe. Yup, that's them at the top! One thing we noticed was that all the staff, although young were so friendly and all said 'hope you are enjoying your day' some asking if we'd travelled far and takes to the boys as well as us. I'm sure it must have been company policy as honestly they were all the same, but their training must be working as they really were great. 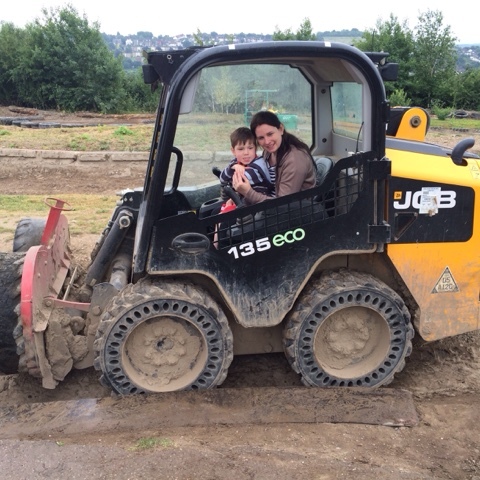 There's not many places that a nearly 5 year old can 'drive' a full sized jcb around, J loved it and T was wonderful not getting upset that he couldn't have a go, although the lovely man attending this ride allowed him to have a quick go, even though there were a few people waiting. 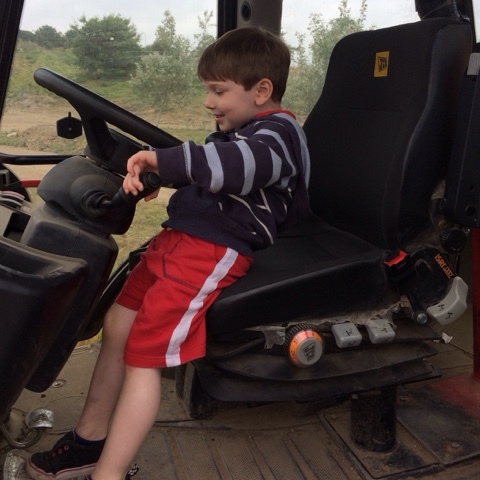 The boys were measured on each ride, to be honest some of the height charts did measure different sizes, which we noticed when T was turned down for a ride because he was too small, but as he'd just come off the JCB, and the ride was next to it, the man said he could go on. I think some of the height charts are a little more off the ground than others. 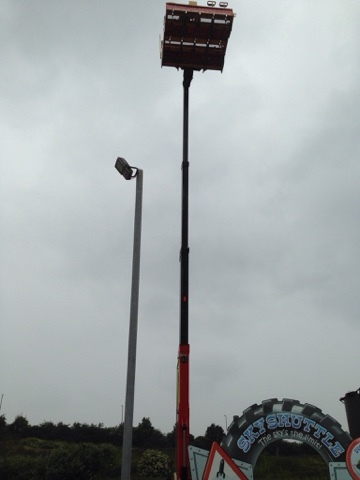 We saw a few people turned away which turned into a few debates which delayed the rides very slightly. Some were clearly not big enough, with people attempting to take on babies only just walking, some were trying to say that their littles were ok to go on their own even though they weren't tall enough. It must make it hard for the attendants. I saw a fantastic suggesting from Letthembesmall.com on their review here to have coloured stickers depending on height, so the children don't have to be measured at each ride. I think wristbands are another suggestion I'd make this could all be done upon entry when the children are measured when you pay. 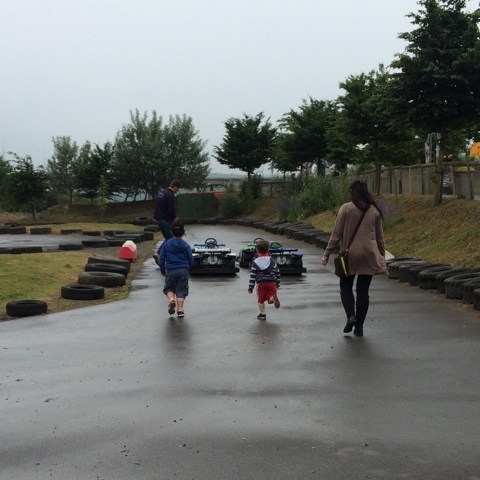 We will certainly return when T is a little taller and can do some of the rides by himself. 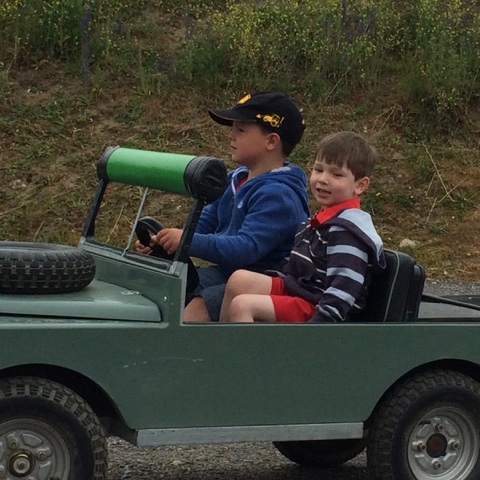 We had a lovely day, and although I feel it is a little expensive for a family, the boys had such a great time that it would be worth it for a special occasion. We are whilst we were there and found the food to be reasonably priced. I struggled but that's not unusual, there were salads available but they weren't much more than a pile of iceberg with a couple of slices of cucumber and tomato, I opted for the veggie burger which was poor. The boys had a very generous portion on hotdog and chips and the hubs enjoyed his cheese burger and chips. The ice creams were reasonably priced too. • It can get dirty, don't wear good clothes! • Could come up with a better measuring method! We would highly recommend to friends with boys, although we thought it was going to be small we managed to spend most of the day there and did go on pretty much everything except for the spin dizzy ride. 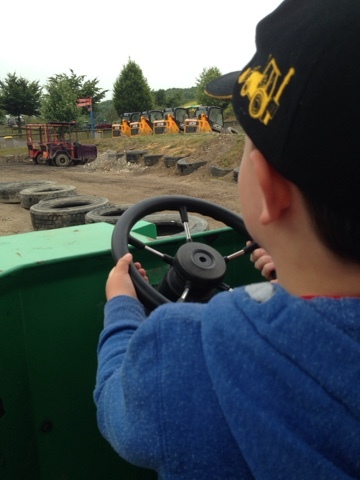 Diggerland Kent looks like very boys dream. I'm not surprised J enjoyed it so much. 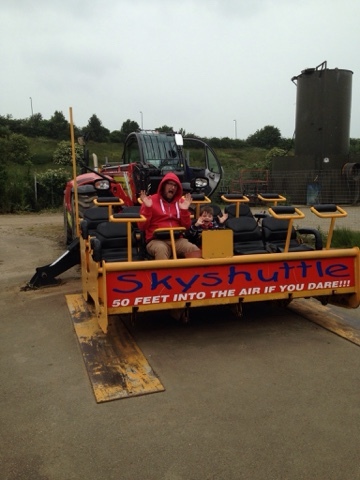 a great opportunity to sit behind the wheel of some impressive kit and really be in charge. I wish we had taken my boys when they were younger. Thank you for sharing with me on Country Kids.